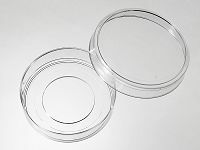 55 mm glass bottom dishes allow a flatter angle for injection, and the 30mm micro-well dishes have a large cover glass area that allows more cells for sampling. Quote: "The neurons were plated on 60 mm Poly-D-Lysine coated glass bottom dishes (Cellvis, China)"
Quote: "The No. 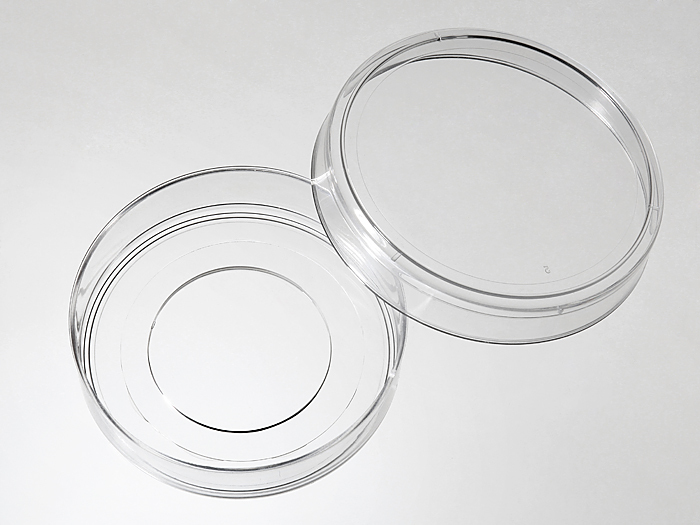 1.5 glass bottom dish (60 mm dish, 30 mm glass well; In Vitro Scientific) and the zWEDGI PDMS device were placed into the PDC-001 Plasma Cleaner"
Quote: "Cells were plated to approximately 50% confluence in 60 mm glass bottom dishes with 35 mm cover slip wells [cat. no. D60-30-1 5-N; Cellvis (In Vitro Scientific)"
Quote: "The PDMS replicas were plasma-bonded to cover glass-bottom 55 mm dishes (No. 60-30-1-N, In Vitro Scientific, Sunnyvale, CA) to produce a self-contained cell culture format." Quote: "within a Teflon mold (Rainin Instrument, Oakland, Calif.) glued to the cover slip glass bottom of a 60-mm tissue culture plate (In Vitro Scientific, Sunnyvale, Calif.)"